← Can’t open /dev/sdb1 exclusively. Mounted filesystem? 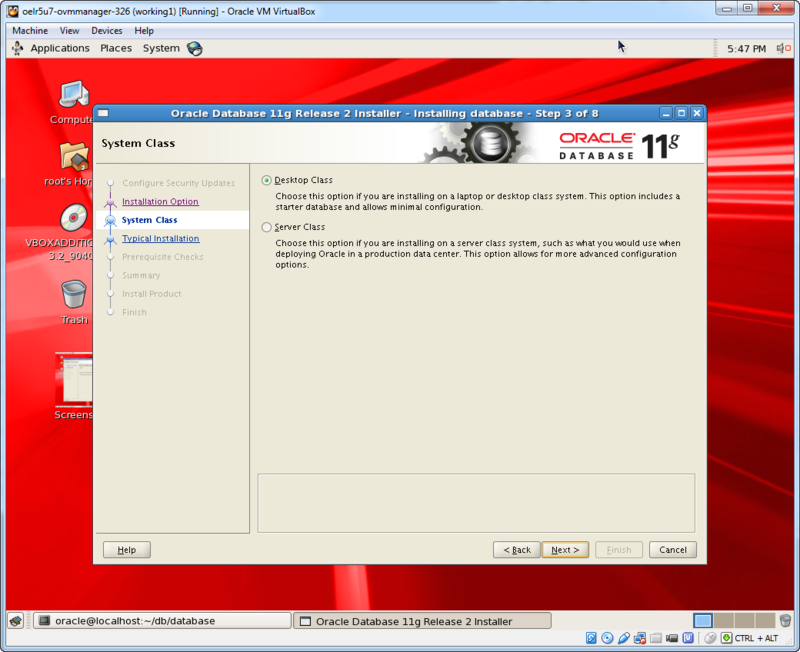 You can use an Oracle VM template to get a running Oracle clustered database in less than 10 mn (excluding VM images download time). 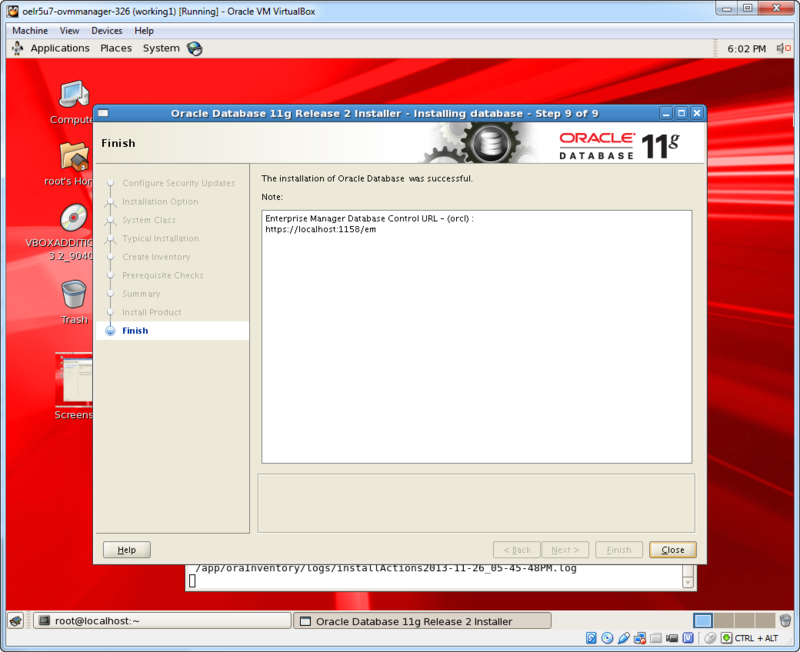 But sometimes, it is useful to have our own custom DB instance for testing purpose. Here are the steps in use to setup quickly a simple Oracle database instance on your Oracle Linux 5.9 aka Tikanga release. * Copy the downloaded file 11gR2_11.2.0.1.0_Linux_x86-64_Part1_V17530-01_1of2.zip and 11gR2_11.2.0.1.0_Linux_x86-64_Part2_V17530-01_2of2.zip and unzip them in your Linux temporary files. * Then follow the wizzard installation, see screenshots below. This entry was posted in commands, database, Linux, Linux, Operating System, oracle and tagged database, installation, oracle, yum repository. Bookmark the permalink.